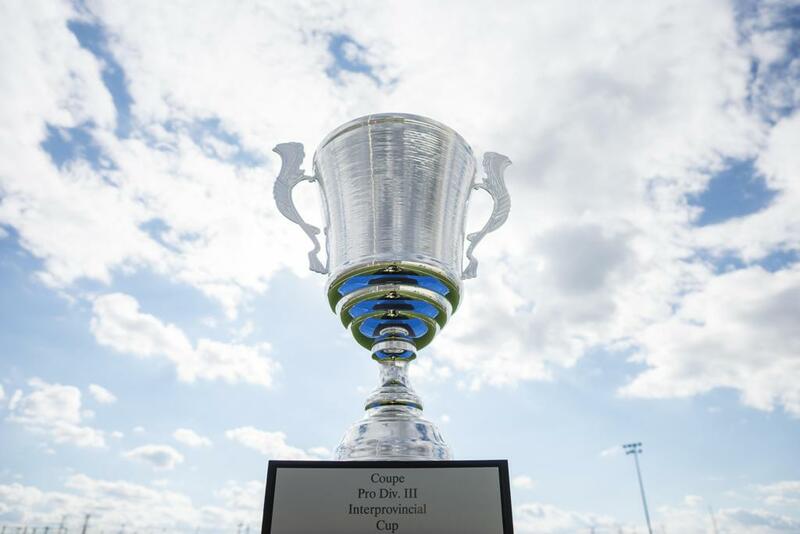 The champions of Ontario's Division III pro-am League1 Ontario, Vaughan Azzurri, and Quebec's semi-professional PLSQ league, CS Mont-Royal Outremont Griffons, will meet once again this Saturday (Pickering Soccer Centre, 5 p.m. kickoff) to decide the winner of the Inter-Provincial Cup - Canada's National DIII Championship. Location/ time: Pickering Soccer Centre (1975 Clements Road), 5 p.m. kickoff. Both sides still have everything to play for after the 1-1 draw during the Quebec leg of this two-leg competition. However, Vaughan Azzurri does carry a slight edge currently due to their away goal. Utilizing the away goals rule, if the cumulative score of both teams is tied after two legs of the Inter-Provincial Cup - away goals will count for two to make the tiebreaker. In essence, if no goals are scored in the second leg - the Azzurri are the outright winners. However, if the Azzurri score first, Griffons will need two goals to win the Cup. In that event, the Azzurri would need two more to turn the tables again in their favour. An entertaining and attacking spectacle should be in the cards for the fans. One can expect a few important changes to the Vaughan squad for this second leg. 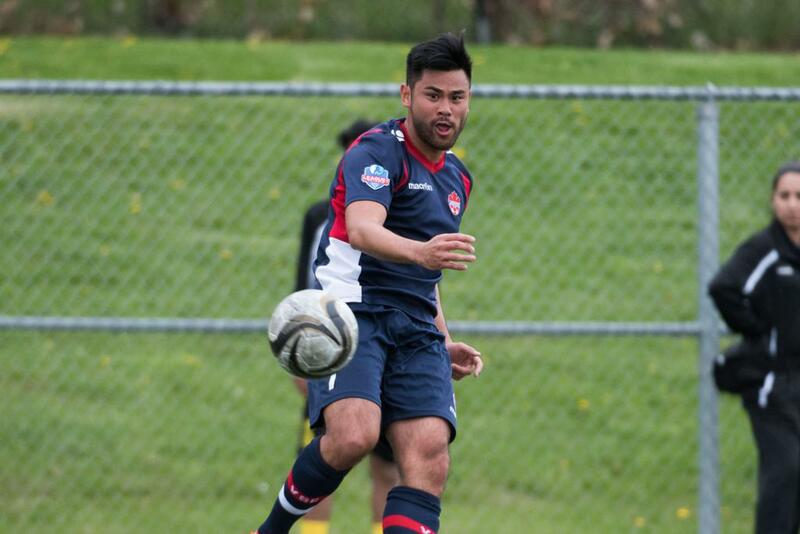 The close links between the Vaughan Azzurri program and the York University meant that head coach Carmine Isacco was not in attendance for the first leg, along with several key players, due scheduling conflict with the Ontario University Association (OUA) Championship weekend. With York now eliminated from the ensuing Canadian Inter-university Sport (CIS) Championship as of Thursday, Isacco has returned to the team and will be able to add some important reinforcements to the squad as well. Expect to see team captain Jonathan Lao back in the team, fresh from being named 2016 CIS Player Of The Year. The calm and collected midfielder has been the heart of the Azzurri side for several years, and his goal threat will provide a welcome attacking midfield option that was missing at times in the first leg. Vaughan and York midfielder Ryan Telfer and university and Azzurri teammate central back Daniel Gogarty have also been returned to team, as has defender Shiquan Lowe - who returns from post-secondary play for Niagara Purple Eagles in NCAA Division I. The Azzurri will be hopeful that Gogarty and Lowe can steady the backline after a first leg characterized by occasional moments of defensive frailty. The Azzurri will fill their bench with quality youth products as well, including Marcus Brooks, Adam Parda, Zachary Zitoli and Tre Crosby - the latter two of which are Canada youth players that have spent time with Toronto FC Academy. Crosby also played two seasons with German side FC Erzgebirge Aue II. Otherwise the Azzurri will look much the same on Saturday, with experience of first leg goalscorer Mario Kovacevic, forward Jarek Whiteman, and central midfielder Matt Stinson leading the way. Brotherly trio Brandon, Jason and Jashua Mills will continue to offer a high pace threat to the team, while Joseph Amato, Jarred Phillips and Adrian Butters will be tasked with protecting keeper Colm Vance - whose acrobatics in the first leg must be credited for keeping the score tight. Quebec's CS MRO Griffons will need to come to Toronto with a mandate to score if they are to win, and with the fluency, movement and high pressing by a front five of Rich-Andy, Nboucha, Olivieri, Rosa and Sissoko in the first leg - they clearly have the personnel to do it. Only one change has been made to the squad, with back-up keeper Ismail being replaced by Francis Monongo.